of every generation of your family. Kitchener Chiropractors Dr. Ryan Rullitis, Dr. Aaron Beaudry and Dr. Robert Kniess offer the best in health care optimization, with an emphasis on family wellness through skilled chiropractic care. Our vision is to enrich the lives of every member of your family, from the newborn and the active senior, to the mom-to-be and the weekend warrior. 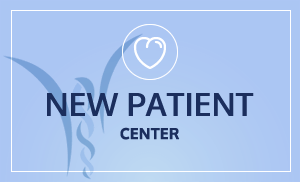 Our chiropractic care center is designed to optimize healing and wellness, and we take pride in catering to the comfort and well-being of everyone who walks through our door. Our practice members appreciate that we feature state-of-the-art techniques and technologies that produce optimal results for our multigenerational community. Our office has been described as warm and inviting, positive and upbeat, with customized care gentle enough for a brand-new baby with colic, or a senior having difficulty carrying out everyday activities. 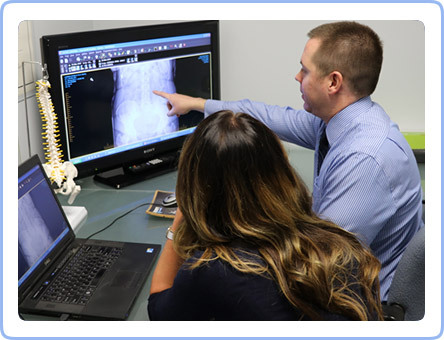 In addition to our well-respected chiropractic approach, we also emphasize advanced diagnostic scan technology, which allows us to locate the source of your problem with laser-like precision. We are passionate about bringing our practice members the latest in care excellence, in an environment that refreshes and motivates. When you are a member of our practice family, we partner with you in achieving your goals, whether it is to attain a state of optimal wellness or simple pain relief. You will also find that our research-based techniques are consistent and reliable. It is our promise to you to always exceed your expectations of help and hope. It is our sincere wish to give every member of our practice a top-notch experience on every visit. 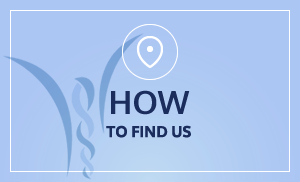 Contact us today for an appointment with one of our Chiropractors Kitchener; we are here for you. I would defiantly recommend coming here! Once upon a time. 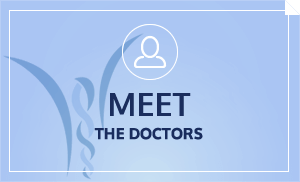 I had the worst back pain where I couldn’t even sleep and when I was introduced to Dr. Ryan he made the pain go away and ever since that I never stop going. Dr. Ryan is awesome and he has a wonderful team and they’re so welcoming and friendly! I started seeing Dr. Aaron for ongoing migraines, and chronic neck/shoulder pain last year. I can truly say, that I noticed relief, almost immediately! The ongoing care has helped my overall health immensely, and for that, I am VERY grateful. Dr. Aaron is highly knowledgeable in what he does, and I have and will continue to recommend others to him. Front desk staff are also absolutely the best you can get! Their friendly smiles are sure to give you a warm welcome! I was so impressed with the whole service I received on my first visit. I came to see Dr. Ryan over a year ago because I was experiencing headaches. After a very thorough examination, and some subsequent adjustments, the headaches have improved greatly. I had to stop going for awhile, and the headaches came back. It is amazing what a difference chiropractic adjustments have made in my life. The team is very friendly and knowledgeable. They happily take the time to explain things and educate the people who come in. I highly recommend this chiropractic clinic to anyone I’ve talked to. Very thorough and explained everything very well. Very happy with this clinic! All my visits had pleasurable experiences in the outcome of my back pain… can’t thank them enough! A very professional and warm welcome at 6:00am, incredible. Was met as soon as I walked in the door and my appointment was informative and specific. Thank you so much for being so kind. I was nervous to come and I was put at ease as soon as I walked in the door! I appreciate the kindness of the whole staff. You all were absolutely amazing! Very knowledgeable and also so friendly. Keep doing what you are doing. I had a great experience. The staff was very welcoming, informative, and professional. I would recommend this practice to anyone! Dr. Ryan and his staff were so friendly and helpful, they made me feel so welcomed and I knew I was going to be in good hands. I felt relief after my third visit and feel wonderful now. Dr. Ryan does a really good job of educating you about the importance of taking care of your spine. I am now under regular chiropractic care and I love it. I would recommend chiropractic to everyone! I no longer need to use my cane and can now do everyday activities without being in pain, sleep better, and feel well rested again. Thank you Dr. Ryan and staff. Highly recommend, everyone at the office is so friendly and I felt so welcome the moment I walked into the office. I left my appointment feeling confident and positive about them being able to help. Everyone was very welcoming and encouraging, without any pressure wanted. Angela and Dr. Ryan were both very thorough in the assessment explaining everything I needed to know and making me feel comfortable; my first adjustment went very well and I look forward to continuing with Dr. Ryan and Westheights. From Angela’s thorough intake/assessment to Dr. Bob’s confident examination, I have every reason to believe that my structural challenges will be sorted out and I will resume my former state of excellent health. Thank you for taking me on as a patient of Westheights Chiropractor! When I first arrived I was greeted at the door, shown around the office and my appointment started right away. Everyone was kind and welcoming. What a wonderful first impression. I felt well listened to and truly understood. The initial exam was very thorough and informative. Nice and friendly staff. All around positive experience. Your staff was so warm, welcoming and helpful. Honestly the most welcoming group of people I have ever dealt with. The ladies at the front desk are always in a great mood and everyone working there genuinely cares about their patients. Dr’s are very knowledgeable and informative. Not only do I get adjusted, I get told what adjustment is happening and how I can prevent any kind of future problem from developing. Best chiropractor clinic in Kitchener. Staff was incredibly kind, courteous, polite and knowledgeable. I would highly recommend this office for others who are seeking a better health. Through conversation during my initial appointment I believe I have found what I need for my overall health needs. The staff here is awesome. Everyone is so kind and the doctors are incredibly knowledgeable. Before I started treatment, I was in constant pain for well over a year from a bad riding accident. Nothing I tried was working and I didn’t think that it would ever get better. After a couple weeks under Dr.Ryan’s care I felt like a brand new person and I’m so thankful! I always thought seeing a chiropractor was a bunch of crap. But after falling down a few stairs and smacking my back making it hard to walk, bent over and constant back pain I decided to go see my sister’s chiropractor Dr. Ryan. Dr. Ryan and the staff at Westheights Chiropractic have been a dream. Not only has Dr. Ryan helped me become more mobile but he has also helped with my chronic sinus and bowel issues. I would recommend to everyone if you have any issues go see the team at Westheights Chiropractic, your body and peace of mind will thank you. Very relaxed and friendly environment. Dr. Ryan is wonderful. Helpful and empathetic. He said on our initial appointment, if he can’t help me for some reason, he would find someone who could. And that makes me feel like my health matters to him and his staff and that I’m not just a number on the roll. I’m looking forward to my follow up and hearing about my treatment plan. Everyone was very friendly and helpful. And I very impressed and greatful about getting appointment quickly! Everyone who works there is so friendly and helpful, makes the process much more comforting. Just the nicest bunch of people I’ve ever met. Knowing how my son was feeling before seeking chiropractic care to how he is feeling now has been such a huge improvement! I felt that there was hope for me! Thank you for the courteous and professional atmosphere and interaction. Great experience.